Definition: Obsessive-compulsive disorder is characterized by thoughts and fears (obsessions) that lead to compulsive behaviors. OCD centers on themes such as a fear of germs or the need to arrange objects in a specific manner. Symptoms usually begin gradually and vary throughout life. People with Obsessive Compulsive Disorder have thoughts (or images) that bother them. Thoughts about making mistakes, harming someone, contamination, disease, religious preoccupation, fears of impulses or desires, or just about anything that you might consider dangerous, disgusting or dirty. Disclaimer: I am not a doctor and I have only had talk therapy in my life. And this was back I was first diagnosed. I realize that every circumstance is different. So I don’t want to come off as being some sort of expert on OCD. I find that writing/journally about my OCD, then taking baby steps, has helped me tremendously. I don’t generally talk openly about what kind of OCD I suffer from, or what things trigger, But today I woke up having experienced a few triggers this past week, so it’s been a bit worst. Hence, it’s time to chat it out. It’s quiet personal to me, so I really do not tend to share what goes through my mind with family or friends. As a young adult I had what was considered your ‘basic’ symptoms. Or at least, the symptoms that people think of, when they hear the word, OCD. Excessive washing of my hands and body… and wanting everything around me to be germ-free. At least in my mind. Air filters running throughout the house, and the constant checking of things; like the front doors, windows, etc. Making sure they were locked. And clean! Unlocking and unlocking them several times to make sure was a daily ongoing hassle. I also had to have the cans in the cabinets lined up straight. And shoes by the front door in a nice tidy row. Things like that brought satisfaction to my life. It really did! I felt like I was in control. As silly as it sounds. I’m sure many people that have come from certain types of homes could relate. People that have had parents yet to control them. If you have grown up feeling like your voice didn’t matter…I am sure you could relate. I have been told that taking baby steps with your OCD, can be a very useful tool in dealing with it. They say for phobias, this method works too. Afraid of spiders, go to the pet store and look at the tranchulas. Fear of heights, walk up the fire escape of a tall building to get to the roof. Just stand up there a little at a time until the fear of heights subsides. I am told that THAT would eventually cure your fear. Maybe some of my bones? NOT that I would ever jump off a roof! And I have not been on top of a roof top in years, because I don’t have those particular thoughts anymore. But I do have the fear of driving. If anyone can relate. And that has handicapped me for my entire life. Example: I have sat behind the steering wheel of a parked car, dozens of times to see if the bad thoughts have ceased, but they have not. So I have chosen to refrain from driving because I would not want to play Russian roulette with my own life, let alone, anyone else’s. Let me quickly share what happens when I sit behind the wheel of parked car. I immediately imagine it running uncontrollable off a cliff. Even if the keys are not in the ignition. Or no cliffs are anywhere in sight. It’s a horrible feeling. My head has already drawn the mental image of the car going off the cliff with me behind the wheel! Then I die. It is nothing that I can control, unfourtently. Then I start having trouble breathing, and generally start crying. It’s a horrible feeling, that I have made the concoious decision to not put myself through anymore. There are a lot more OCD bad thoughts that I have regarding driving, and they are what keeps me from learning to drive. Life is too short to dwell on it though. There are too many things that I can do, so I place my focus of those things. 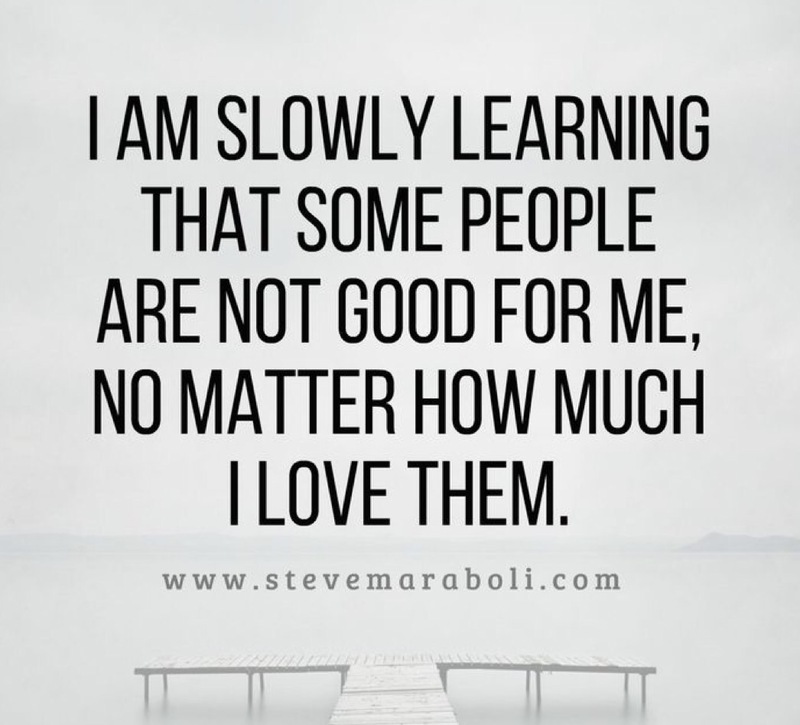 Many years ago I started surrounding myself with people who, ‘in my mind’ didn’t fit my perfect criteria to the cleanliness of a perfect life, as bad as that sounds. I realize it sounds snobby, and I apologize for that. I was told in therapy that med-free baby steps involves a process of stepping out of ones comfort zone. Regarding my OCD..but I think it can apply with many things in life. I don’t remember a time when OCD was not a part of me. I have some pretty vivid memories of my six year old self quietly comforting myself with it. I saw my OCD as a special friend. Something that was never going to leave me. And I’m told that it never truly does. 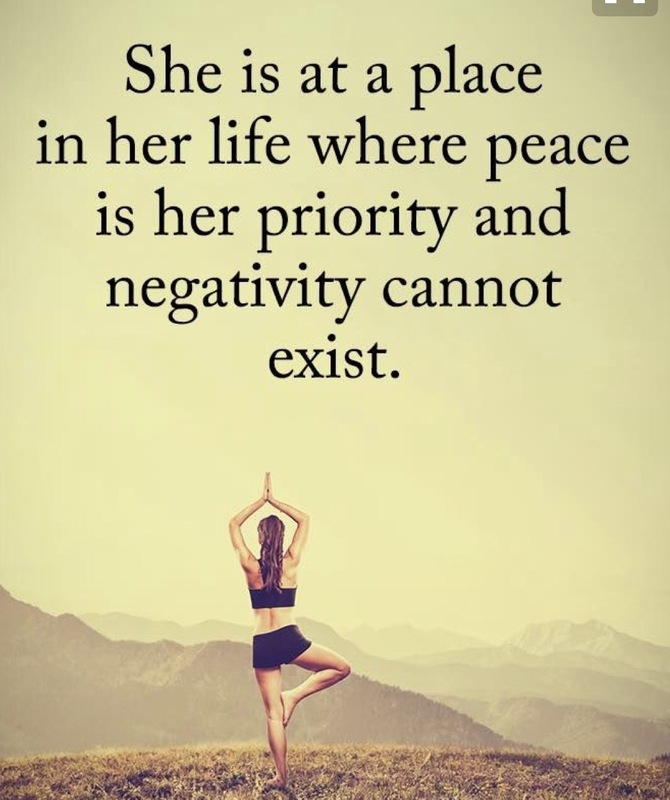 I can have it under control, but it will always be a part of who I am. And it’s healthy to come to that realization. Baby steps for me has helped so much. Especially on the area with people. Nothing entirely bad happened. Which is what I needed to learn through the process. But jumping in, was like jumping in front of an ongoing train. And given that my personality is more of a doer then a thinker…..The irony of that! For me, it is easy to do a lot of things… suffering the consequences later. It’s really confusing to have OCD bad thoughts with my personality. Act now! Think later! And that thinking part later, is what drives me up the wall. Especially of the unexpected has happened. After several years I accomplished my fear of people that were the opposite of me. As well as the fear of germs. For the most part. Next task would be making my daily household more bearable. I wanted to be able to walk through my house from one room to the next without stopping to fix, or rearrange something. It has taken me walking by a messy pantry, or many shoes in disarray, several times…before fixing them, to teach my mind that it’s ok, Alright to see and have things not in order. Baby steps. Then the next step would be to go to bed and try to sleep the entire night. Knowing that the pantry cans were not facing the right way. Or that everyone’s shoes by the front door were not lined up a certain way. That took the longest time…. Normally I would get out of bed because I would not be able to fall asleep knowing that there was a mess in the other room. And Oh gosh! Don’t get me started on the sofa cushions. I still need to fix them several times a day. If I didn’t like them so much, I would remove them entirely. But I’m very fond of home Decor. My living space needs to feel a certain way. And I’m okay with that. While my preference is still to have the families shoes somewhat neat, and the pantry in some sort of order, it doesn’t trigger me at all anymore. I CAN sleep just fine. I can also sleep in someone else’s messy house without organizing and cleaning for them. Or trying to fix them and their living space. That said, I have yet to master my OCD bad thoughts. And it really does control me. Oh how it does! I won’t go too deep into this one, as it is somewhat dark, but now my OCD has mainly become strings of different scenarios that rewind, and then play back in my head. Certain things that would probably never happen. This has been a constant struggle for many years now. For example…. I will think of a break-in or robbery and I will start to think of every possibility of how it may or may not turn out. I use to have nightmares of myself handling a break-in or being at a store while it was getting robbed. And all the different ways it may play out. It happens when I stay at hotels too. My mind will start thinking of different things that may have taken place in that particular hotel room. Or hotel. Sometimes keeping me from falling a sleep. I start thinking about getting into an accident, and not being able to get out of my seatbelt. Maybe it’s jammed and locked. Or maybe all the doors are jammed and there is no escape! And I die. Another thing I struggle with, is something bad happening if I don’t XYZ. Crazy things like, walking over to the air condition vent and opening it and shutting it over and over again…until I feel like its fine. In my mind, something bad can happen if I don’t open and shut the vent over and over again. Sometimes it’s something simple like looking at myself in the bathroom mirror. I stand in the front of the mirror until I feel like everything is fine. Not hours on end.. just for a few moments. I need to ‘feel’ like everything is good and fine. Sometimes I verbalize to myself that I am safe and fine during this time. And that is all it takes. I recently changed all the hangers in the house to the same color. Otherwise I’d have to constantly take time to stop, and put them in order. Because that would be something that really triggered me. Now they are all the same color and it is gone. I remember as a teenager taking masking tape and labeling each hanger. One would say black leggings. One would say blue striped shirt. You get the point. The correct garment needed to me on the designated hanger. I would never feel the need to do that nowadays, but back in the days it was what was needed in order to feel fine and have a good day. Like many others, I like things around me too look a certain way. Mainly because it makes me ‘feel’ a certain way… and I’m a very ‘feelings’ type of person. I don’t spend a whole lot on tissues, but they have to be in all the rooms of my house. And the boxes have to be diagonally. They get moved by the family throughout the week and it is a constant problem that I am still trying to over come. It’s so odd because there are a list of things that I do not care about whatsoever. Things that bother a basic person. I would say normal person, but what is normal…. but a figment of our imaginations. 1. I don’t have to have my bed made each day. 2. The kitchen floor needs to be swept three times a day by me… but I do not mind if what I sweep up is randomly in a corner all day, or even swept under a throw rug. Yikes! I know. 3. I don’t care if dirty dishes are in the sink. Just as long as they are only put in one side of the sink. Piled high in one sink.. and no dishes in the one next to it. Perfectly fine! I am very keen on everything being consolidated …and to be honest, I judge people who do not know how to consolidate. It was one of the very first things I taught my kids to do. Even before learning to tie their own shoes. 4. Laundry can be clean and sitting in front of the dryer unfolded for weeks on end. No biggie, just as long as it’s clean and not dirty clothes sitting on the floor. I can go on… and talking about it really helps my mind sort through things.. But you get the idea. OCD is talked about a lot in life. But it’s mainly only about people that need everything to be clean..
1. I got out of the passengers side of our SUV and on the ground was a used needle. It could have been drug related, or perhaps from a diabetic. I will never know, But that image has not left my mind with all the possible questions/scenarios that have been dancing in my head. And that was over a month ago. 2. I was at a thrift store and there was an upside down desk chair that I walked by… underneath it, were several spider cocoons. When I looked at it, I imagined what type of spiders would crawl out and over take the thrift store if they were punctured. They looked like black widow egg sacs to me, so my mind thought up a pretty intense horror story on how they took over the store, and later the whole town. 3. I have had to stop watching news and YouTube videos about the Hurricane in Texas because I have visuals that I have seen that have been consuming my mind. Sometimes if I draw them they will leave.. but these are too graphic. It’s not fun not being able to control your day to day thoughts. So I have been making the effort to limit what I see. At least I have that type of control. ~Please feel free to comment about your own OCD tendencies. Or if you have a blog post about it, please share the link so I can check it out. When I was 16, I lived down in Florida with my grandmother for a season. She was well in her sixties. I use to watch and examine her morning routine while living with her. It first involved, waking at 6am to prepare her cup of Sanka coffee. And then sitting down for her morning devotions. Which was 30 minutes. Fifteen to read. Fifteen to pray. Then she would turn on her 13″ black and white television and watch Phil Donahue. I think that was the name of the program. After that, whether she was going anywhere or not, she would shower, get dressed and apply a bit of makeup. Which I have yet to try. But I want too! It was one of the few luxury items that she splurged on a couple times a year. Or sometimes, she received some from her employer as a Holiday gift. She had later shared with me. She wore bright pink Estée Lauder lipstick. A pale Estée Lauder foundation. And bit of cream blush. That was it. One morning while quietly watching her from the sofa, I asked her what the liquid stuff she was putting on her face was? Oddly, I did not know a whole lot of make-up when I was a teenager. I thought I did. But nothing to what I know now. At age sixteen, I wore face powder, eye shadow, eyeliner, mascara, and lipstick. Wet & Wild blue eyeliner. And a Maybelline blue and pink eye shadow compact. In the blue Blooming Colors quad. 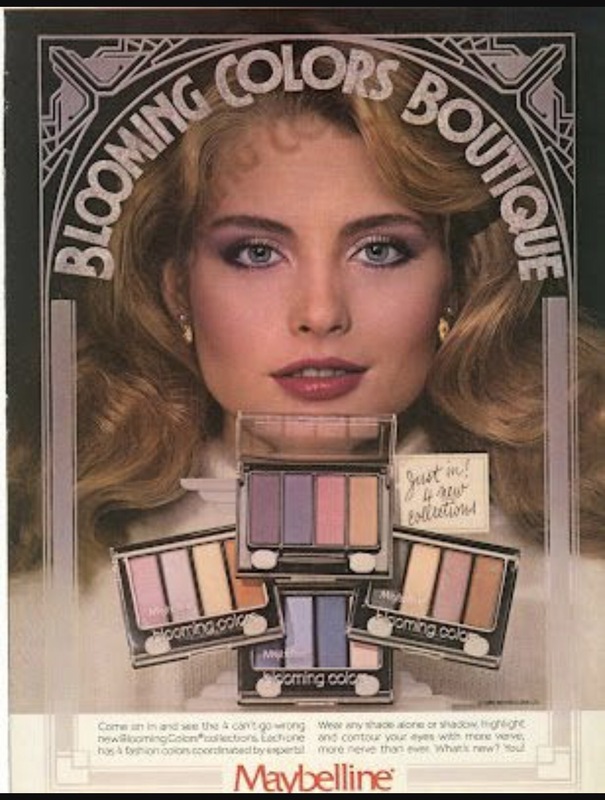 I think that’s Carol Alt in the ad? Oh! And any coral lipstick that was available to me. Basically, stuff my mother or aunt didn’t need anymore. Stuff they passed down to me. That morning I asked grandma what it was, exactly. She laughed and told me that I didn’t have to worry about what it was, or how to use it…for many years. Back in those days you simply did not question an adult after they spoke. Especially one you respected. And no, it did not even accure to me to open it up and try it. Although I think nowadays I would have, and same goes for today’s teens. Let’s face it, we are all so curious. I have been through many a make-up trend. I’ve also spent several years not wearing any makeup at all. However, Currently, I’m loving ALL makeup. It upsets me that I did not have the options that today’s teens have. So today while rummaging through my makeup, Grandma came into my mind. IN NEON! 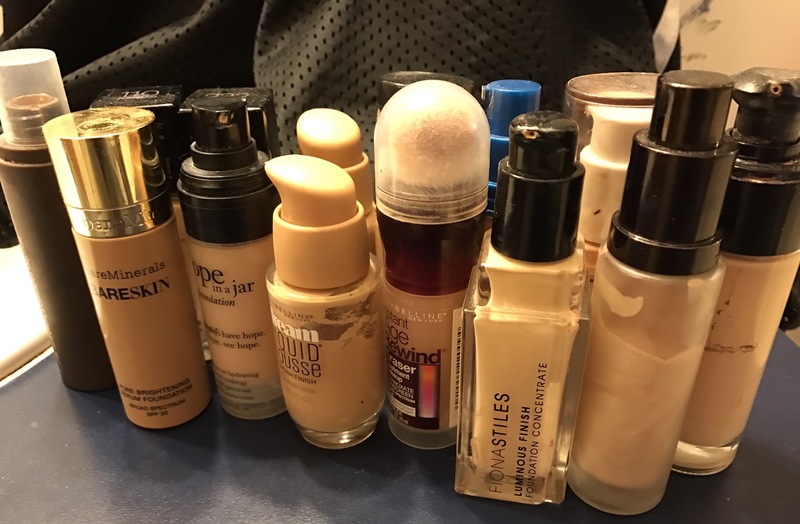 I looked over my large foundation COLLECTION and I took a moment to remember that very day that I learned what foundation was, and how to apply it. Grandma never shared how old she was when she first started wearing foundation, but I started wearing it in my mid-thirties. 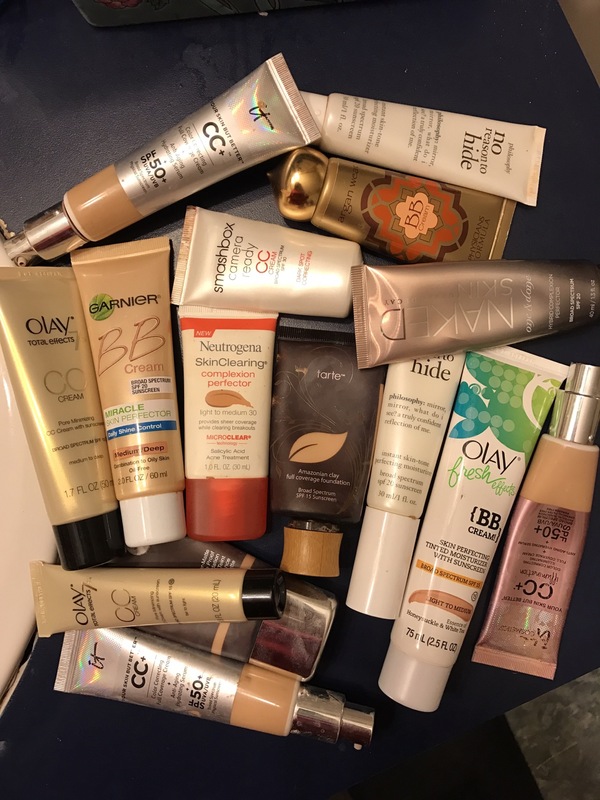 I love a good BB cream also. As it’s a one step process to hide acne scars, red marks, sun spots, and hyperpigmintation issues. I love what foundation can do too. As you know, when the face ages, it looses collagen and becomes quiet dry. It dies t matter how many gallons of water I drink. As a teen, I look back and realize how I simply did not appreciate everything she did for me. Along with our ‘little moments’ that seemed silly at the time…they were memories in the making. I try to have a lot of memories like these with my own kids, seeing as they do not have grandparents who are active and close by in their lives. I love you grandma. Thank you for always being there for me and never giving up on me. ~Until we meet again.. at the pearly gates of Heaven. I’ve always considered myself moderately healthy. At least for my age. There are many women my age are on a full arsenal of drugs. Prozac, Paxil, Metformin, Hydrocodone, Zocor, Prinivil, Hydrochlorothiazide, Prevacid, and the alike. At least all the woman I know personally. I’ve always tried to treat symptoms with diet. Rather then meds. Some things have been out of my controltjpugh, such as my hypo-thyroid issues and my ongoing low iron. I’ve struggled with low iron since age fifteen. I found out I was anemic, one day while I was out shopping with my mother at K-mart; of all places. I fainted in the layaway department for no apparent reason, or so I thought. Little did I know, I was anemic. I feel like everyone has them. Especially when you have had more then a couple of children. I’ve had a homeopathic Doctor tell me that low iron is hereditary. But it becomes more severe with each birth. I have been making a large effort to become proactive. I started taking this industrial liquid iron tonic that has made a world of difference in my energy levels. I ‘almost’ jump out of bed each morning. It’s time to decide whether I want energy, while looking like some teen girl going through puberty. Or, have a clear complexion and feel like a zombie, while reaching for coffee throughout the whole the day. If you are struggling for daily energy, you must try this particular iron. I have tried many, but this one is top notch!